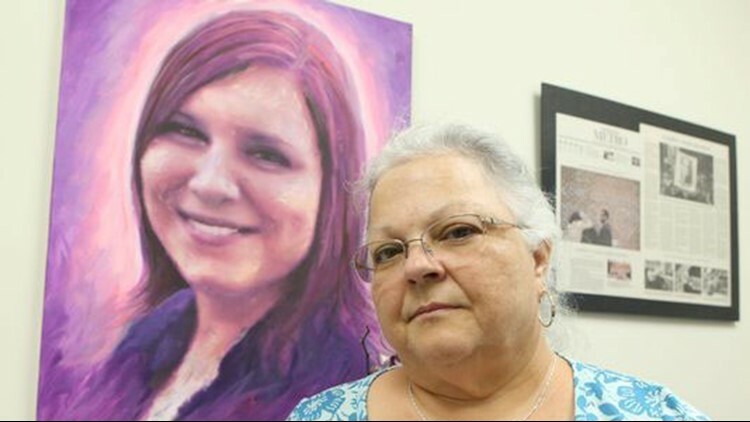 Heather Heyer was killed one year ago in Charlottesville, Virginia, protesting against a white nationalist rally. As the anniversary approaches, her mother has taken up Heyer's fight. CHARLOTTESVILLE, Va. — Susan Bro is still reeling from the day that a man backed his car into a crowd of counter-protesters at a white nationalist rally, killing her daughter, Heather Heyer, at age 32. Bro, now 61, was a government secretary at a small office in nearby Greene County when Heyer, a legal assistant, was taken from her on Aug. 12, 2017. James Alex Fields Jr., the young Neo-Nazi who hit Heyer, was indicted in June on 29 counts of federal hate crimes. He also faces state charges, including first-degree murder. Ahead of the first anniversary of the tragic "Unite the Right" rally in Charlottesville, Bro sat down with USA TODAY to discuss her life without Heyer. She spoke from an armchair in the corner of a room in Heyer's old law office, where her charitable foundation is now headquartered. The room, small but cheerful, features paintings of Heyer, tweets from Bernie Sanders in her honor, inspirational quotes and flowers. Everything is bedecked in purple, Heyer's favorite color. Before her life was turned upside down by Heyer's death, Bro lived a quiet life about half an hour outside Charlottesville with her husband, Heyer's stepdad. She'd spent 18 years as a teacher before turning to government work. She knitted, she crocheted, she canned. Now, Bro is an outspoken activist, a mother who's taken up the cause of a daughter unafraid to speak out against inequality or peacefully protest when an uninvited crowd of white nationalists marched through her city. Bro now runs the Heather Heyer Foundation, which awards scholarships to students who are passionate about social justice. Bro isn't sure the stark political partisanship that has served to divide the country will subside during her lifetime – but that's why she's "training Heather's replacement." And, as she's become immersed in the civil rights fight that Heyer cared so deeply about, Bro has come to realize that she and her daughter can play an important role in a conversation she sees as long overdue. In the whirlwind year since her daughter's death, Bro has spoken to countless politicians, reporters and well-wishers. She's made a "conscious effort" to magnify her daugher's voice. But there's one person with whom she has no interest in dialogue. So she turned on the news. She saw that President Donald Trump, in a public statement, had equivocated the white nationalists and the counter-protesters, claiming that there were "very fine people" on both sides. Bro isn't surprised that some of the same white nationalists whose gathering caused Heyer's death are planning an anniversary rally on Sunday in Washington, D.C., after (their attempt to reconvene in Charlottesville was foiled. Hundreds of fringe-right demonstrators are expected to march on Pennsylvania Avenue, then gather in Lafayette Square to advocate "white civil rights." Heyer wasn't a leader, Bro says; she wasn't at the front of the crowd when the car backed through it. She was persuasive on social media and in small groups, but on Aug. 12, she "showed up simply to be supportive of her friends." But Bro is sure of her daughter's message for the world today, were she alive.